This just in - the National Telecommunications Agency in Brazil confirmed the Galaxy Note9's massive battery in a leaked document. The certification document doesn't reveal much but it confirms one of the main features the Galaxy Note9 will boast over its predecessor - the 4,000 mAh battery. Rumors about the large battery capacity have been going around since April and the bit was later confirmed by a different source in June. 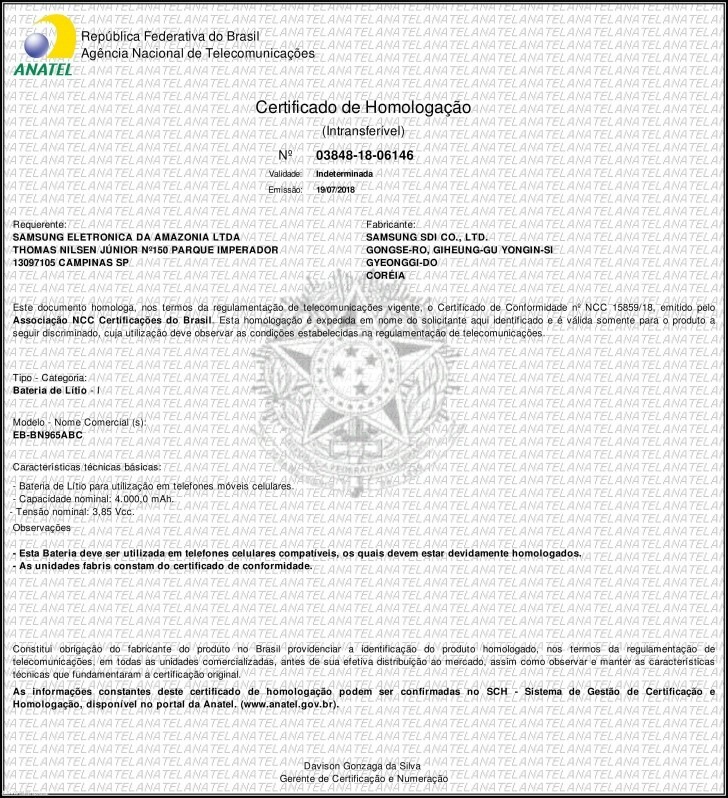 Now, a month later, ANATEL is here to solidify these claims with an official document. We think that it doesn't get any more legitimate than this. We hope that the big battery will come with some competing charging tech or at least support for Quick Charge 4.0 and beyond since we already know that the wireless charger that will be introduced alongside the handset won't bring any ground-breaking charging speeds. This Galaxy Note 9 has an aspect ratio of 18.5:9. The Honor 10 has an aspect ratio of... Wait for it....! 18.5:9. The only difference is Samsung uses 1440p displays while Huawei uses 1080p displays. Come on dude this joke is old. Have you actually seen the S7 Edge? T'was more than the Note 7. Lol. I'm not saying I hate Huawei, but the Note series finally had a comeback on the endurance ranks.